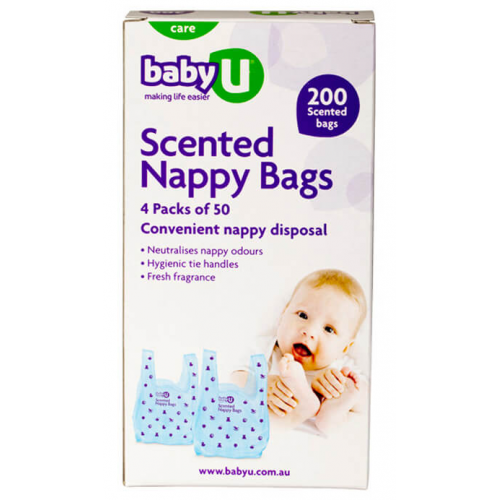 The specially formulated baby powder fragrance used in the BabyU® Nappy Bags helps to neutralise soiled nappy odour. Hygienic tie handles tightly seal in wetness and bacteria, making change time convenient and clean. 200pk. 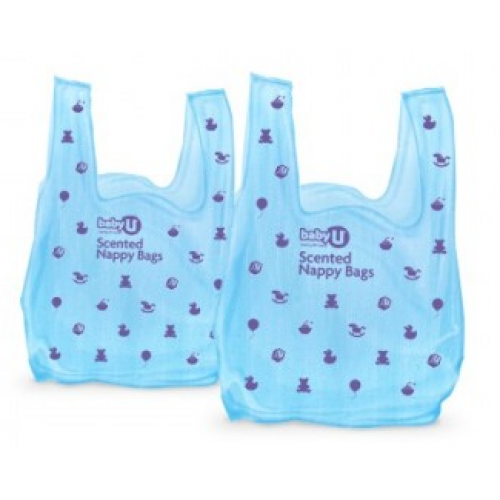 Ideal for shopping, picnics, playgroup, walking the dog, wherever!